Community Action is very involved in making sure that families/individuals are given the opportunity to live in affordable housing. Since 1995 we have been building apartment complexes designed to help lower income families/individuals afford a place to live. The complexes are geared toward people that don’t make enough money for market rate rent but make too much for subsidized housing. Rent includes water, trash, and sewage. Washer/dryer hook ups are in every unit. Senior housing is available in three different complexes located in Wilmington. 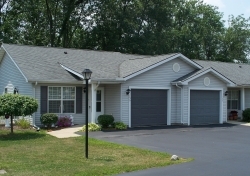 Community Commons at 116 Community Dr in Wilmington has two and three bedroom units for seniors age 62 or older. Clinton Commons I at 100 Commons Lane in Wilmington are all three bedrooms units for seniors age 55 or older and Clinton Commons II at 202 Jeanie Wilson Way are all two bedroom units for seniors age 55 or older. Rent includes water, trash, and sewage. Washer/dryer hook ups are in every unit. Community Action also operates a senior housing complex in Blanchester. The Blanchester Senior Villas consist of 40-units of affordable senior housing for individuals 55 and older. They are located at 100 Madelyn Lofton Dr. in Blanchester Ohio. Each of the villa’s units has two bedrooms and a garage, along with built-in microwaves, dishwashers and a built-in medical alert system. The homes have hook-ups for washers and dryers and the capability for residents interested in connecting to a medical alert service such as Lifeline. Also featured at the complex is a community center complete with a kitchen, television, computers and an exercise room. Residents can use the community room to gather and it will be available to the residents for family gatherings and reunions.